Looking for a relaxing dining destination but can’t seem to get away from the hustle from your busy lifestyle? Wanting to save up for a car that you’ve been eagerly wanting? Don’t want to spend your entire paycheck in one dining experience? Want to get out of ordering the same meals from the same place every Friday? No need to stay in and order UberEATS anymore! It’s time to leave the house and explore some rather intimate yet casual (or some rather fancy) feasting restaurants that will be worth getting off the couch and turning off Netflix for. Depending on your hunger needs and your company for the night, you’ll (hopefully) pick 1 or even all of these places for your next outing/s. Don’t believe me? Just watch. Or rather keep reading. If you’re after a cultured and refined dining experience, then Darling & Co is just the restaurant. 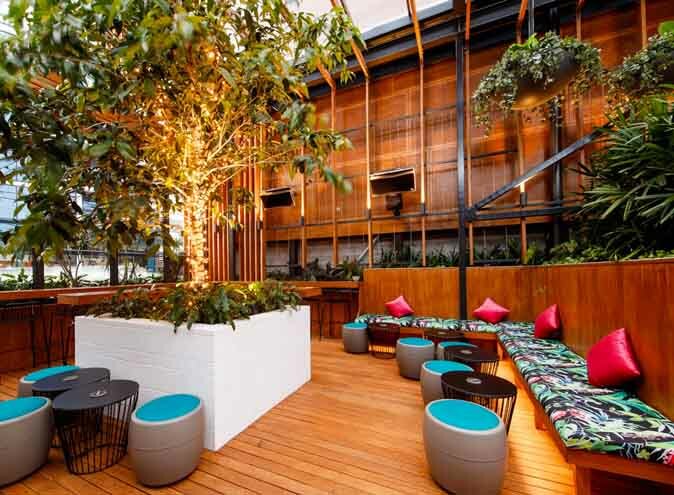 With vibrant colours illuminating the function space alongside of just the right amount of greenery, resulting in a sophisticated place to hang out at any time of the day. Featuring local produce and fresh ingredients to produce a mix of Asian, European and American flavours to create an impressive all rounded menu catered to everyone. This can all be enjoyed on the comfortable plush booths to the communal seating under the high ceilings and inviting timber framing where you’ll certainly get your Instagram-worthy photo right here. Join Darling & Co for Wine Down Thursdays for 2 glasses of wine and cheeseboard for only $35! Alternatively if you’re looking to satisfy some hunger cravings, then $16 lunch specials will be perfect for you. Including daily pasta dishes, salads and burgers with a glass of wine, beer or soft drink. 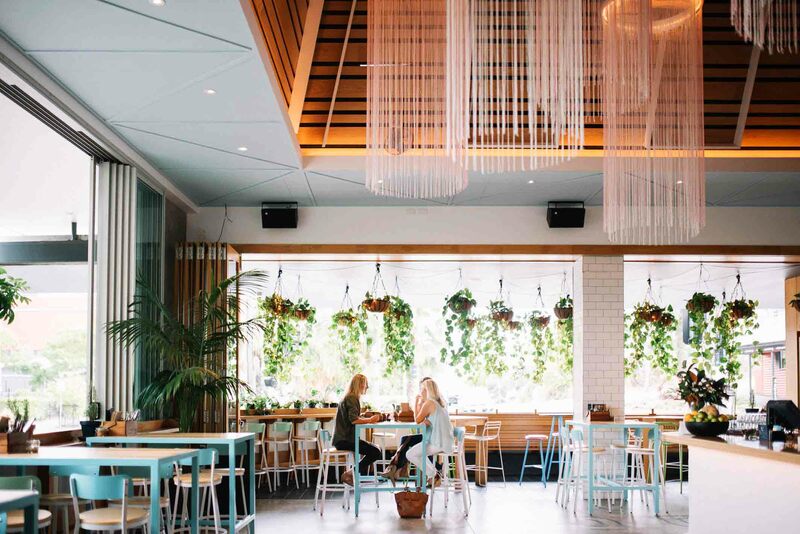 Located in Fortitude Valley, Delfina’s Bistro is a rather intimate restaurant with ambient lighting serving modern Australian cuisine with a European influence. With a great emphasis on food bringing people together and sharing the love of one’s food with each other, Delfina’s presents the perfect atmosphere for casual yet a fine dining atmosphere. Offering great wines and cocktails to accompany one of the many delicious dishes. Open Tuesday to Saturday from 3pm until late. If you are a chocolate lover like myself, then definitely order and indulge with the Black Forest Delice (drunken cherry gel, brownie, aerated white chocolate, tonka bean mousse) that will quite literally be the cherry on the cake. Miss Moneypenny’s is a stylish bar serving a cross between Mediterranean and Australian food as well as creative cocktails. 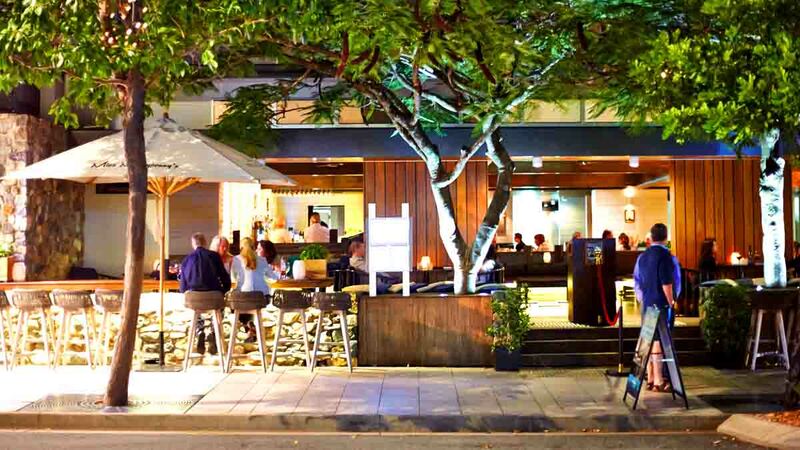 Presenting a relaxing social atmosphere with a cool and classy interior to get away from sunny Noosa. There is a timber deck with umbrellas overlooking Hastings Street for those perfect after work meal and drinks (Plural). 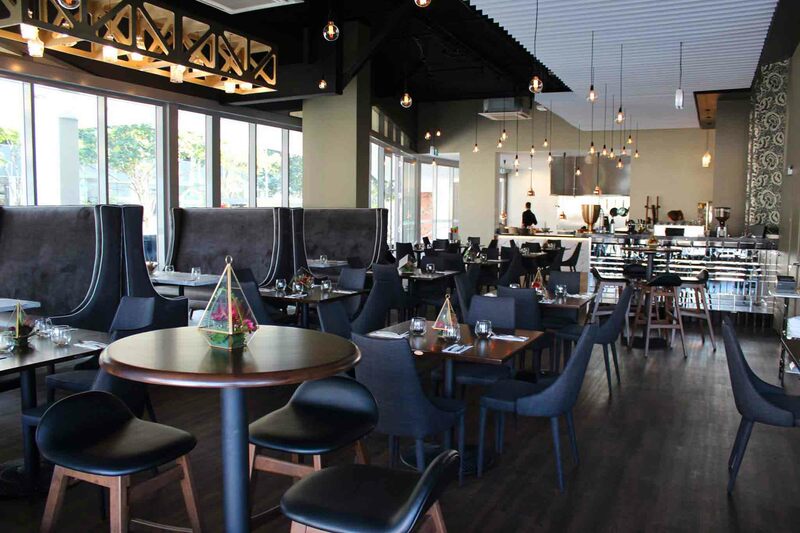 There is something for everyone at Miss Moneypenny… whether you’re wanting to treat yourself with organic strozzapreti pasta, barramundi, beef fillet or Portuguese chicken that all come with delicious sides. Need an alternative? All pizzas can be purchased in a gluten-free option for just an extra $5. Additionally, there is an extensive wine list ranging from seasonal cocktails to all-time favourites. Treat yourself to their signature Bellini or a Miss Moneypenny’s Belvedere Bloody Mary! Looking for a lunch special? Well look no further. 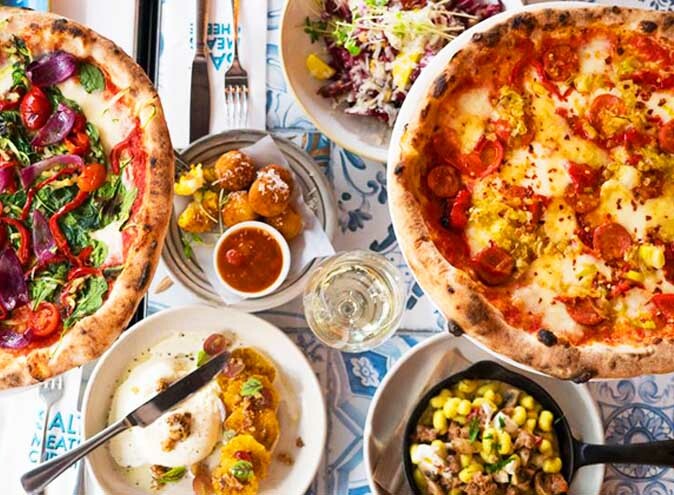 Presenting a Napoli style pizza and a glass of house wine, beer, house spirit or soft drink for only $24. Every day from 12-3pm. So I’ve gone a little astray from the “casual dining” scene so just bear with me. It’ll be worth it. I believe so anyway. A steak restaurant for all steak lovers (and wine enthusiasts). 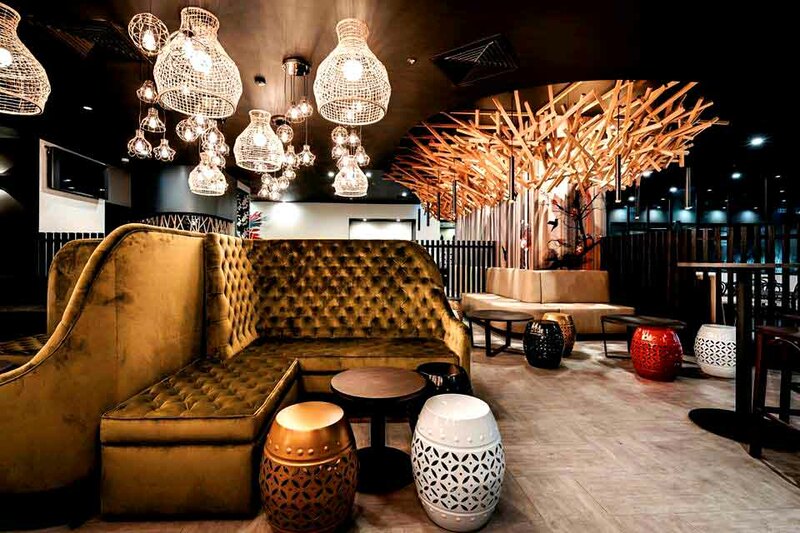 Situated in the heart of Brisbane city, Moo Moo The Wine Bar + Grill restaurant is described to be one of the best steak restaurants in Australia. With an award winning menu, Moo Moo serves the freshest local produce. Not a fan of steak? No worries! 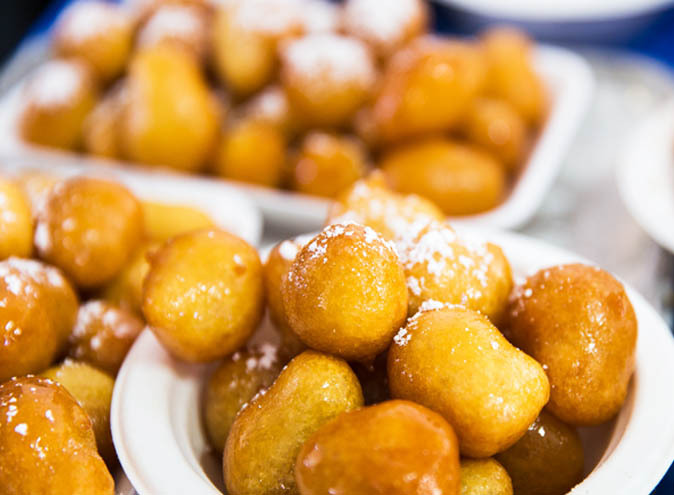 There is an extensive menu including seafood, poultry, pasta and vegetarian options. 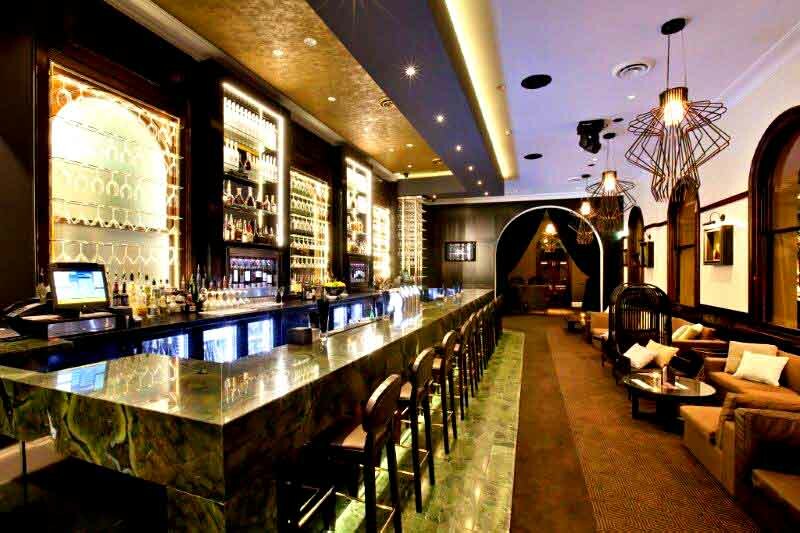 Featuring 6 balconies, private booths, private dining rooms, marble top bar, 3 LCD screens…need I say more? Additionally, you have found a hidden gem at Moobar. Serving classic cocktails, craft beers, international spirits in a New York inspired cocktail bar. 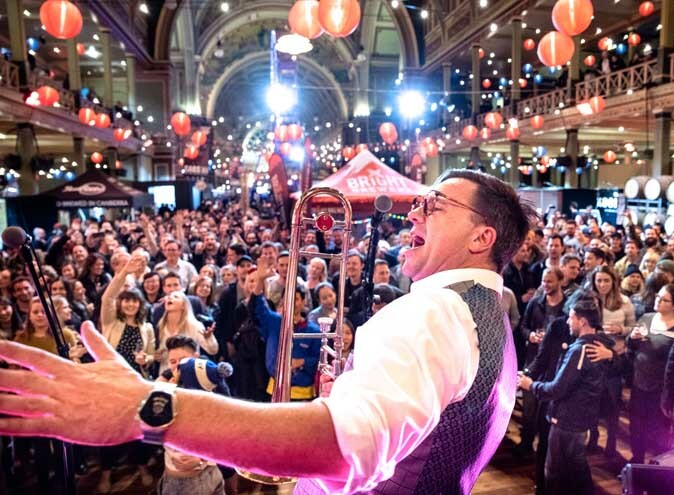 Offering over 900 wines! Spoilt for choice…am I right? Join Moo Moo every Sunday from 12-3pm for a roast lunch starting from $39pp. Don’t forget to try the hot fudge sundae Moo Moo style! If you’re craving an Australian and traditional Asian fusion meal, you’ve come to the right place. Nest Restaurant & Bar offers all day dining in a luxurious cocktail lounge with a street facing bar. Using the finest produce and herbs from their very own organic Sky Garden, Nest has created innovative dishes that will satisfy every craving. Offering a buffet breakfast every morning from 6:30am and an a la carte menu after 12pm. So whether you’re after a glass of wine or craft beer to accompany your meal or your cocktail hour, Nest provides refreshing and creative drinks. Or indulge in an all-time favourite Honey Collins on NEST, created with homemade honey by their very own bees in the terrace style sky garden. You’ll be buzzing for more! Not that you haven’t already been won over…but you can treat yourself with deep fried peanut butter ice cream with salted caramel sauce. Yes please! Nest invites you to flock to [their] nest to eat, drink and lounge!